B.A. 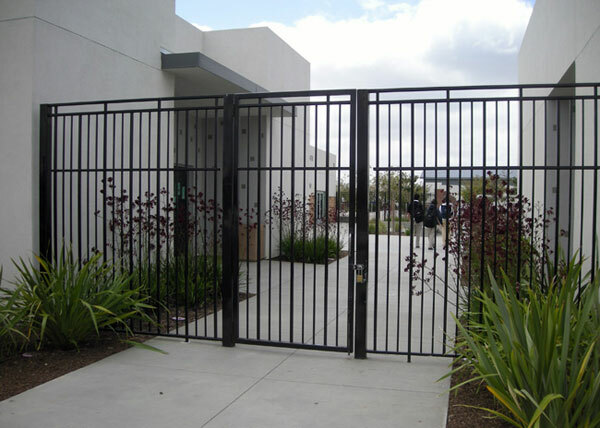 Ramirez & Sons Ornamental Iron Works, Inc. excels in crafting high-quality custom iron fences, gates, staircase railings, handrails, guardrails, and doors to the exact specifications and needs of our commercial clients in San Diego. Having served the local business community for over 30 years and with a team of fabricators and installers that average over 40 years of experience, we offer a level of skill and knowledge that is essentially unrivaled. As such, we believe we offer our clients the best value in San Diego County. When our clients come to us for iron work, they can expect unparalleled craftsmanship, flawless design and finishes, superior customer service, and competitive prices. Moreover, to ensure that we meet/exceed every client's expectations and stay true to each of their unique visions, we work closely with each client from project inception through completion. Because all of our iron products are custom made, they can be built exactly to your specifications. We offer smooth or hammered scroll work, ornate castings, galvanization and metallization for rust protection, 100s of powder coat finish color choices, epoxy liquid finish for color matching, and more. 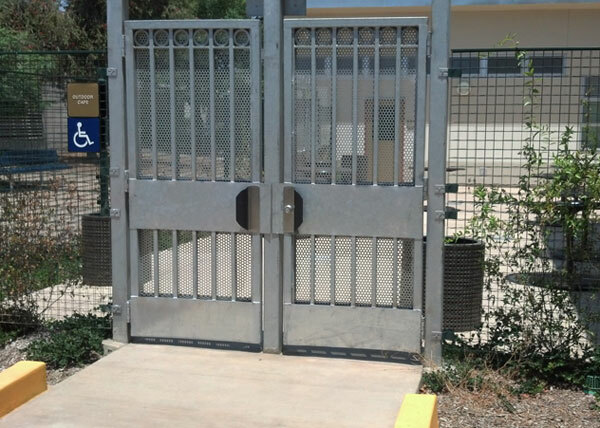 Additionally, we can integrate durable hardware as well as access control and automated systems, such as keypad entry systems, telephone entry systems, gate remotes, fire strobes, card readers, intercoms, and safety protections. 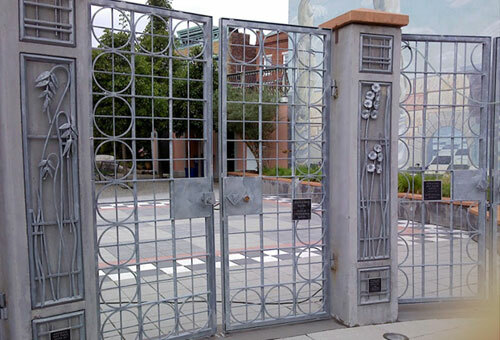 With all of our ironwork, we take care to comply with application building codes and ADA standards. 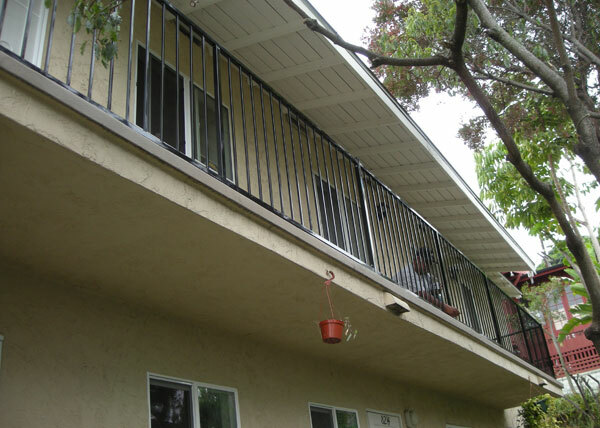 We also offer San Diego businesses ironwork repair and replacement services. We often repair rusted posts or bars, broken hinges and locks, malfunctioning automated gates, and damaged gates hit by cars. If a piece appears to beyond repair, we will recommend replacement of the affected parts or the entire fence, gate, door, window guard, or railing. Contact us today for a free online estimate. We serve businesses anywhere in San Diego County, from Escondido to Chula Vista. 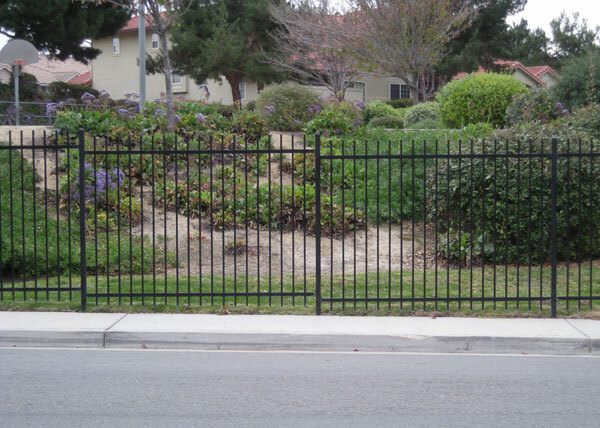 We hold a C-23 ornamental iron contractor license and are fully bonded and insured. All of our iron work is backed by a two-year warranty for parts and labor.